Concord is a town located 20 miles west of Boston. Concord has two stops on the Fitchburg/South Acton commuter rail to Boston. The population of Concord is 17,668. The average sale price for a single-family home in Concord is $ 1,017,827 and $402,814 for a condo. Year to date the number of single family homes sold in Concord is up 60% from 43 homes in 2012 to 69 compared to the same period this year. Year to date average prices for single-family homes rose 3% from $1,001,045 to an average of $1,029,993 so far this year. What Makes Concord a Great Town to Live in? Concord is known for its rich history, unique shops and restaurants, and high quality of living. Incorporated in 1635, Concord was the site of the Battle of Lexington and Concord during the American Revolutionary War. 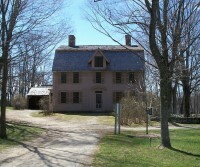 Minute Man National Park, which preserves the land and historic structures associated with the Revolutionary War, is located in Concord. It consists of 967 acres protected land including forests, wetland, several ponds, meadows and fields. The park offers tours and trail walks, and hosts reenactments and special events. Because of Concord’s historic significance, owners of properties located in historic districts must follow strict guidelines regarding making alterations or updates to their homes. These guidelines have helped to preserve the beautiful Colonial architecture seen throughout Concord. Some of the most influential writers of the 19th century lived in Concord including Ralph Waldo Emerson, Louisa May Alcott, and Henry David Thoreau. Thoreau lived at Walden Pond in Concord in a one-room cabin from July 1845 to September 1847 and wrote of his experiences there for his book, Walden. Walden Pond State Reservation, consisting of 335 acres of protected open space, has been designated as a National Historic Landmark due to Thoreau’s legacy. Visitors can visit a replica of Thoreau’s cabin, swim at Walden Pond during the summer, and in the spring and fall visitors can hike the trails around the pond. Concord has other family friendly parks such as Emerson Playground, where we will broadcast this year’s Zip Trip in Concord. Concord is known for its excellent schools. There are several public schools in Concord including Alcott, Thoreau, and Willard Elementary Schools, Concord Middle School, and Concord Carlisle High School, which ranked #33 in the Top Schools in Massachusetts this year by U.S. News and World Report. Concord also has top private schools including Concord Academy. Do you live in Concord? Tell us what you like most about Concord or send us your photos!